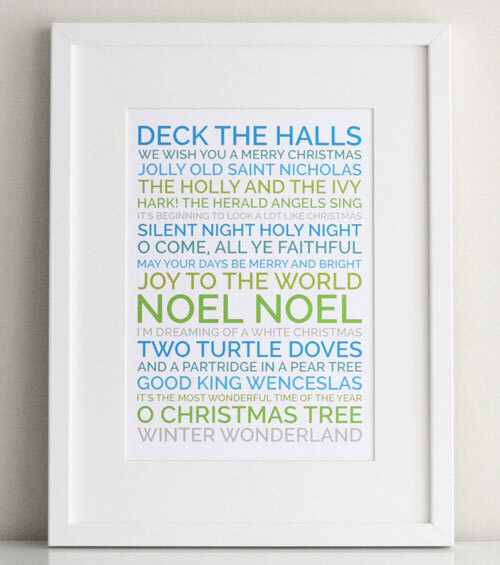 Add some Christmas cheer to your home with our beautiful typographic Christmas posters. 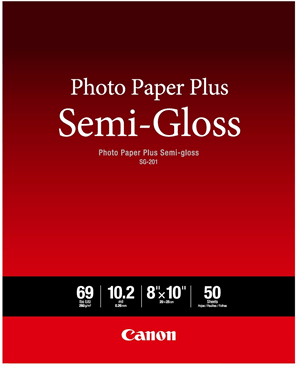 These high quality PDF downloads are simple to print and frame at home, and they add a lovely festive touch to any living room, nursery room, or hall. On this page you'll find three free Christmas word-art posters for you to download and print out. 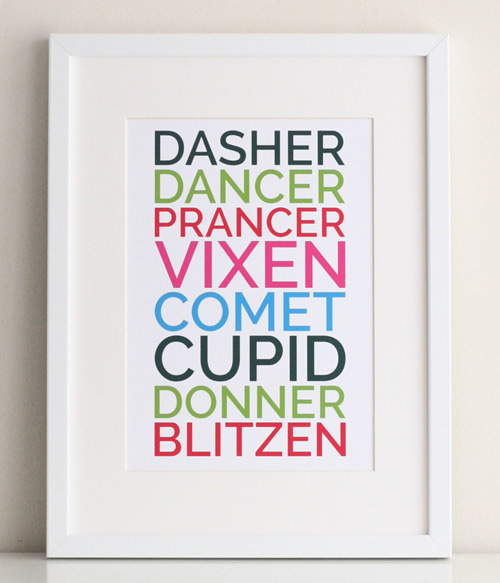 The eight reindeer of traditional lore are celebrated in this Christmas typographic artwork. The names of the reindeer originate in the 1823 poem by Clement C. Moore, "A Visit from St Nicholas", popularly known as "Twas the Night Before Christmas". "On, Comet! On, Cupid! On, Donner and Blitzen! 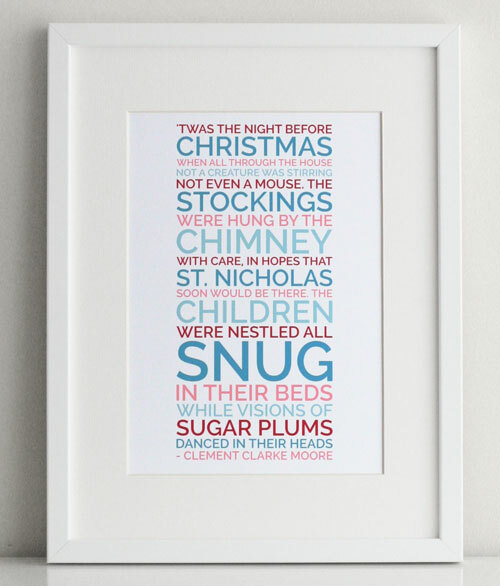 This poster features an excerpt from Clement C Moore's 1823 Poem "A Visit from St Nicholas", popularly known as "Twas the Night Before Christmas". A lovely print for a baby's nursery or child's bedroom, this piece captures the joyful anticipation and excitement of Christmas eve. Children will love you reading the poem to them all snuggled up before bed, and together sharing the magic of Christmas-tide. 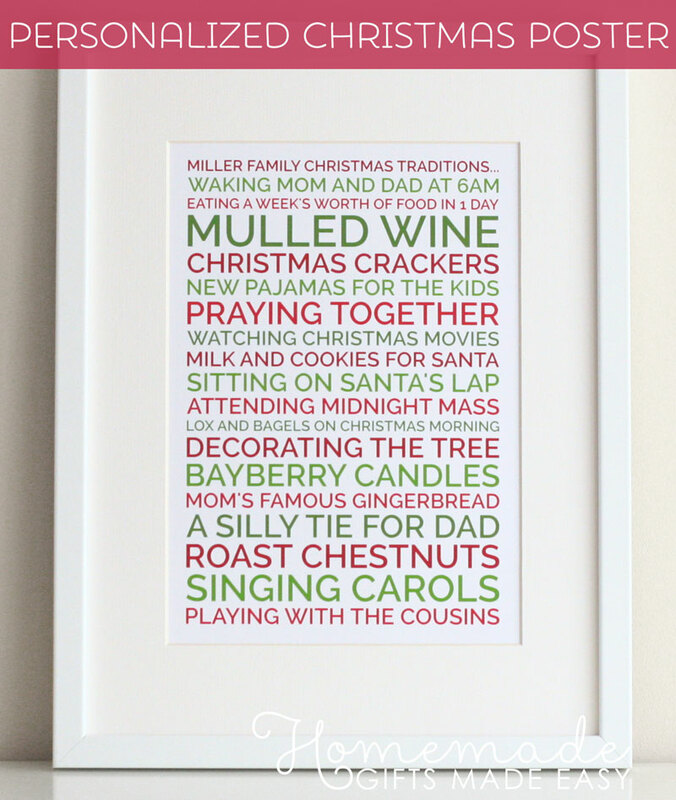 This free poster features lines from popular Christmas carols and is a delightful display piece for your home throughout the holiday season. Including lines from traditional and modern carols, one glance will have you humming your favourite tune. 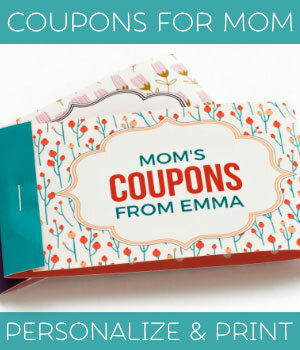 Want to customize your poster? 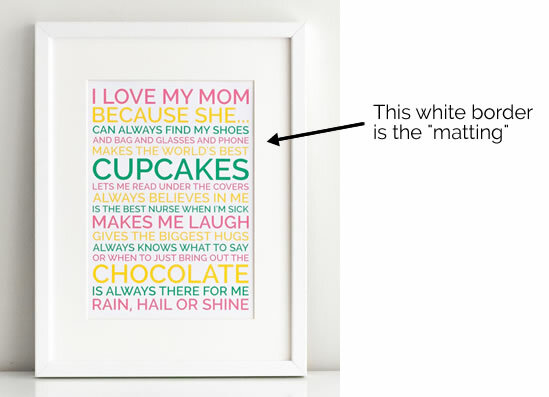 Try out our Christmas Poster Generator . 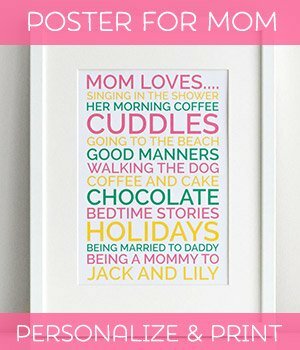 Our easy to use online poster generator allows you to make a completely unique piece of artwork for your home or as a gift. There are beautiful festive color palettes to choose from and you get a high quality PDF download to print out.